Choosing a holiday on the Norfolk Broads offers the ultimate peace and serenity, with luxury cruisers providing the perfect floating home from which to explore. 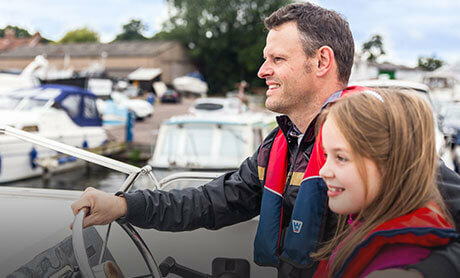 With over 125 miles of stunning waterways and vast, diverse wildlife to discover, a boating holiday is something for all of the family to enjoy. Wake up to the peace and tranquility of the Broads, with the freedom to explore at your own pace, with our award winning waterside and boating holidays on the Norfolk Broads. For those who prefer to explore from the banks, we have a choice of 13 holiday cottages in Wroxham, offering you the perfect base from which to discover everything the Broads and the local area has to offer. If you’re staying in one of our waterside holiday cottages, you may even choose to pick up a fishing licence from the Environment Agency and cast off from the bank outside your holiday cottage, whilst enjoying the bustle of the Broads. 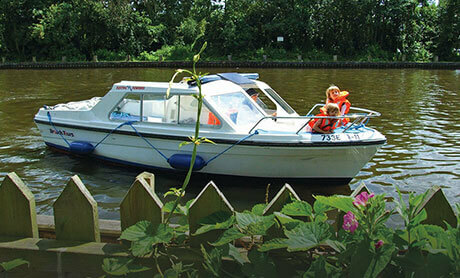 Enjoy waking up on the Norfolk Broads onboard one of our holiday cruisers. The Norfolk Broads Direct fleet of modern, high quality cruisers for hire, provide the perfect floating home for your exciting boating holiday. Norfolk Broads boat hire opens up an extraordinary landscape to be explored and enjoyed by the whole family, at your leisure. Our luxury holiday cruisers provide the perfect accommodation to fully enjoy your time on the Broads and don’t worry if you’re not an experienced captain; we’ll give you all the information you need to steer your family to some fantastic Broads holiday memories. Norfolk Broads Direct’s waterside holiday homes are in the perfect location for relaxing, care-free Norfolk Broads holidays. From your holiday cottage, you can spend your time simply watching the boating activity on the River Bure and the busy boatyard. You’re also perfectly located to explore the surrounding area with its many fabulous attractions, including wonderful stretches of coastline and the historical city of Norwich which is home to two cathedrals, a Norman castle and some of the oldest shopping lanes in the country.